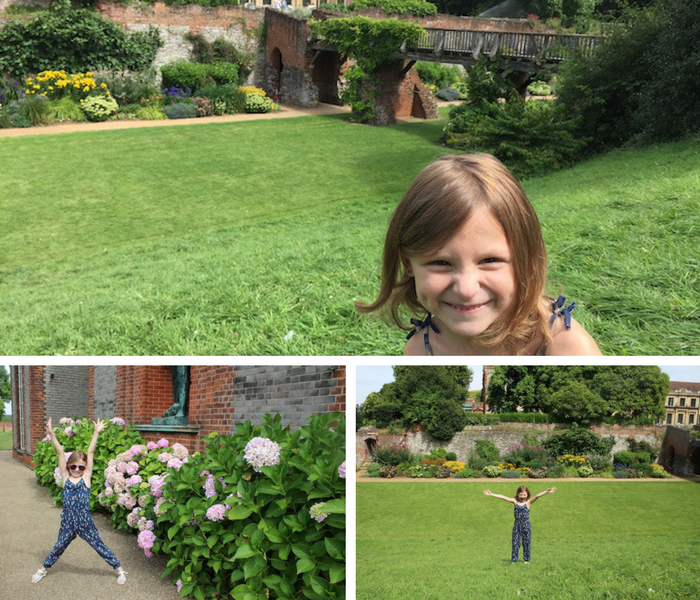 Last week, Bella and I were invited to visit Eltham Palace and Gardens which is an English Heritage property. We have never been before so we were very excited to spend our day there. Since Bella’s little sister was born we haven’t been able to give her the same attention that she was used to so it’s nice to be able to spend some quality time just with her. I like having time to bond with my daughter to get to know even more about her. She loves getting all the attention from me and I love giving her all my attention when I can so we both have an amazing time. This was the first time that Bella and I were going on an adventure like this on our own. 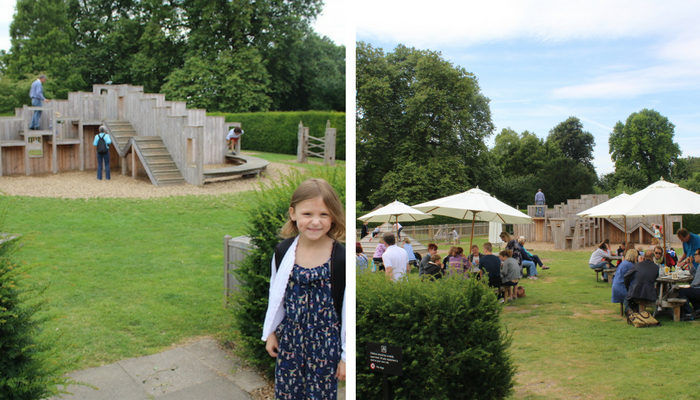 Eltham Palace is located in Greenwich so we had to first take a bus to the tube station to then get to London Bridge, where we then got a train to Eltham. From there we took a taxi to the actual Palace & Gardens which took about 12 minutes (It is possible to get by bus but there is a bit of a walk either side). 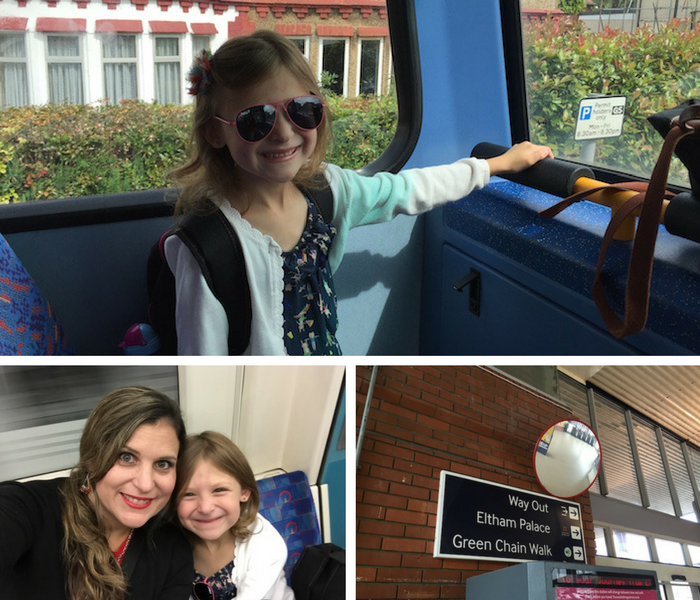 Bella enjoyed all the changes on our journey – it was quite an experience for her. When we arrived to the Palace, a member of staff directed us to the information centre to pick up our tickets. All the members of staff were incredibly nice and helpful. We were given a short explanation of what we could do and we are also given a guide of the palace. During the summer holidays there are weekly activities perfect for keeping your children entertained. You can check all their events for the summer HERE. Bella and I decided to go straight to the Palace which she was really looking forward to. As soon as we arrived to the entrance we saw its stunning gardens so we started exploring the outdoor gardens first. 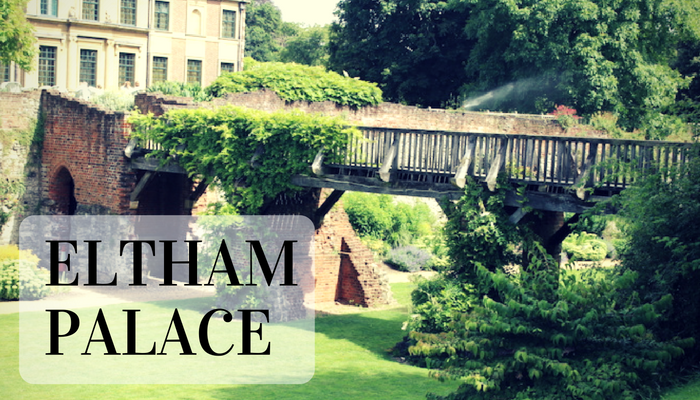 Eltham Palace has 19 acres of beautiful gardens to explore. You can admire the herbaceous border designed by award-winning garden designer Isabelle Van Groeningen. Their Rock Garden with its series of pools and cascades running down to the moat is spectacular. It was also a great experience to cross the moat on London’s oldest working bridge, and smell the roses in the sunken rose garden. You can also see beautiful orchids. The long herbaceous border is one of the major features of the gardens at Eltham Palace, reaching its peak in late summer when it glows in rich purple, copper, yellow and blue flowers attracting butterflies and bees. It contains 18 different varieties of oriental poppy, 21 different varieties of peony and 20 different varieties of Clematis. After exploring the gardens we then went inside. They had audio visual guide tours for adults and special ones for kids. Bella and I got the ones for kids. 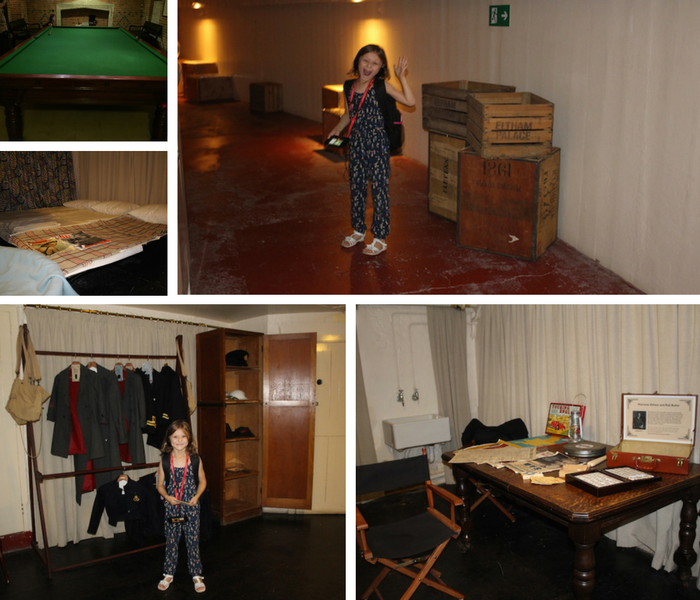 It was very entertaining as it came with explanations of the rooms and some extra activities that were very fun to do. They also had a special activity for kids which involves collecting stamps from specific rooms after finding some interesting animals. One of them was the famous Lemur pet that the owners of the house, the Courtaulds used to have. This was very fun to do and after collecting all the stamps Bella was able to claim a sticker. She really enjoyed doing this and when we finished the tour and therefore the activity she went on her own to claim her sticker. Bless her! It was so cute to watch! The domed entrance hall at Eltham Palace is stunning! It felt like a hotel. This was the area where prestigious guests gathered for glamorous cocktail parties. Socialites and politicians, royals and artists all enjoyed hospitality here. This eye-catching room is a mix of Art Deco and cutting-edge Swedish design. The owners at that time, the Courtaulds converted this property into a lavish home which became one of the finest examples of Art Deco architecture and design surviving in Britain today. Two other highlights that your family can enjoy are the marvellous panelled dining room and luxurious golden bathroom. We really enjoyed going down to the basement. It has a billiard room where Bella tried to play a little. There was also a photographic darkroom and wartime basement bunker. This provided a level of comfort during the Blitz that few ordinary citizens, taking refuge in tube stations or Anderson shelters, could have imagined. Just taking a few steps you can travel back in time from Art Deco modernity to a medieval masterpiece. You can gaze out from the minstrels’ gallery across the magnificent great hall, and admire the glorious hammer-beam roof built for Edward IV five hundred years ago. Eltham estate was presented to King Edward II in 1305. It developed into one of the most favoured royal palaces with 1,000 acres of deer park on its doorstep. Henry VIII spent many childhood years here. Bella really enjoyed seeing the difference between the art deco house and the medieval palace. I think this was an interesting feature at Eltham Palace. The play area is fantastic. It is a wooden outdoor play area which is perfect to let your children burn off some energy. It has an ‘around the world’ theme. There is a plane to fly, mountains to climb and world maps to explore. 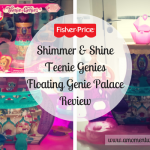 Your little ones will discover a whole new world of excitement. Bella really enjoyed playing here. She spent a fair amount of time here at the end of our day which she really enjoyed. If you want your kids to burn up some energy then this playground is perfect. They cafe was delicious. They had fresh sandwiches which they prepared there and then. They also had warm food. For kids there is the option to get a kids lunch box that comes with a ham or cheese sandwich, crisps, juice and biscuits. 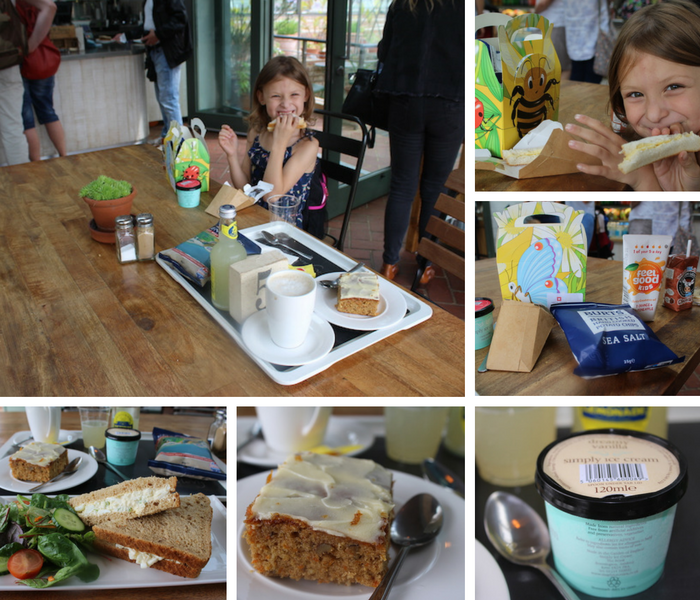 There were also yummy cakes and ice cream. The shop was great too. 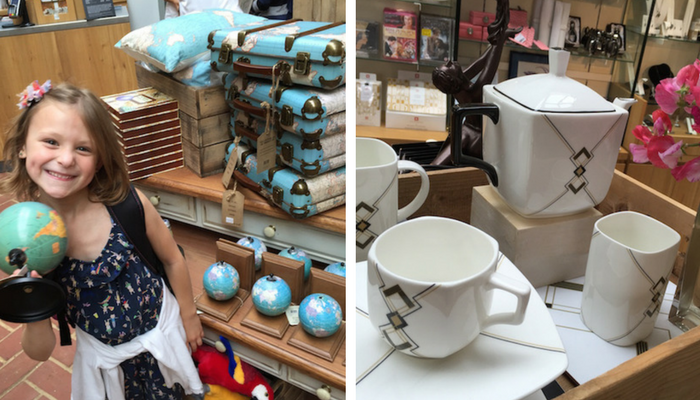 You can browse a range of fabulous Art Deco inspired gifts in the shop, and take home a souvenir from your visit. The shop is online too so you can check it before or after your visit. Eltham Palace is located in Court Yard, Eltham Greenwich, London SE9 5QE and opens Monday to Thursday and Sunday from 10 am to 6 pm. Please be aware that Friday and Saturday are closed. The price for adults is £13.60 and £8.10 for kids from 5 to 15 years old. 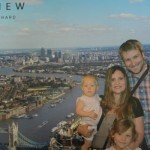 We really had an amazing time at Eltham Palace and we will definitely go back with the whole family as I think Nick and Sienna would love it too. 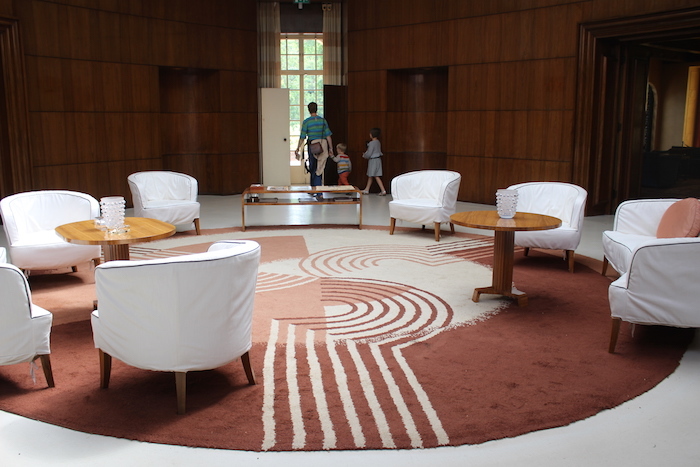 Have you been to Eltham Palace before? 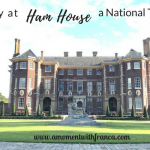 Have you heard of English Heritage? Have you visited any of their properties? What do you think of them? 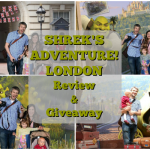 Please leave a comment below as I would love to read what you think. 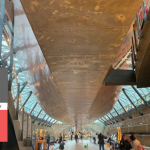 *Disclaimer: I am a member of the Mumsnet Bloggers Panel, a group of parent bloggers who have volunteered to review products, services, events and brands for Mumsnet. I have editorial control and retain full editorial integrity. I have received a voucher in return for writing this post. So glad the two of you had such a great time. It looks like a fascinating place to visit. One day I hope to travel to England to enjoy the beautiful countryside! 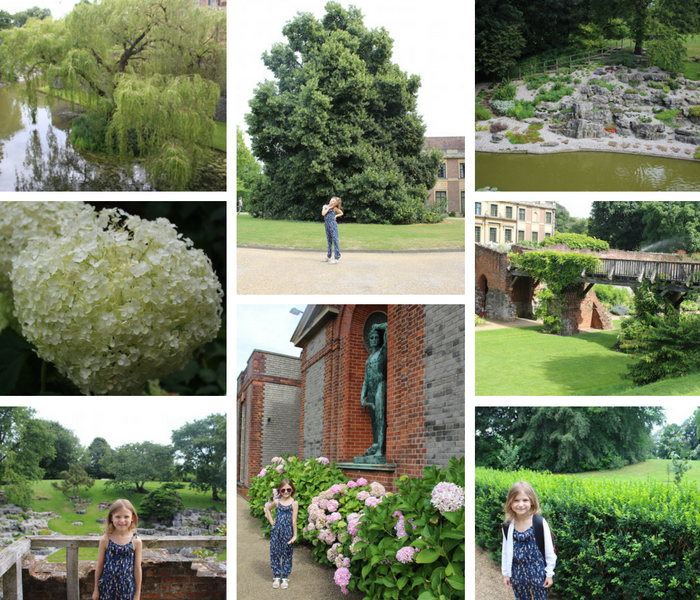 I love Eltham Palace, but for some reason we’ve only ever visited in the winter – I’d love to see the gardens in spring or summer, they look beautiful! Must make a mental note for next year! Such a lovely place for a family day out. The gardens are stunning! 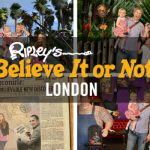 This looks like such a great day out, so much to see and do. We live quite far away from Eltham Palace so not sure we will be able to visit although I will keep it in mind if we are ever in the area. Looks like a lovely place to visit and perfect for the whole family as well. 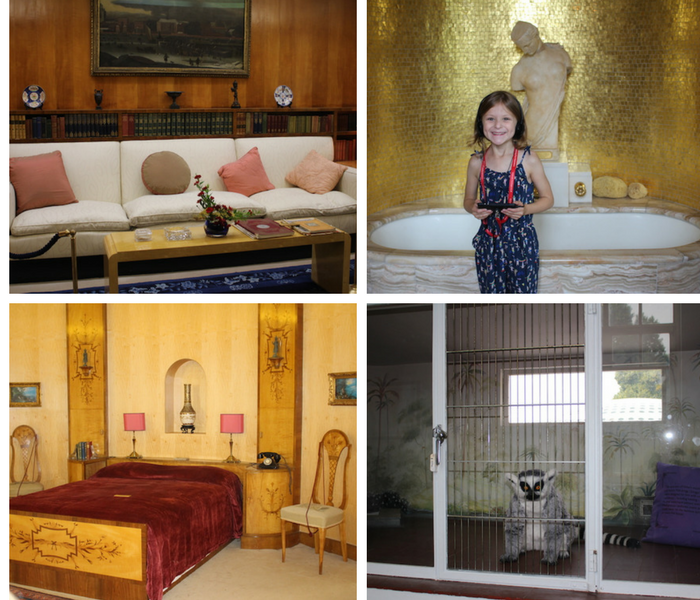 I have not been to Eltham Palace and it’s great seeing what’s inside the palace looks like. Beautiful pictures, Bella looks adorable. #KCACOLS. That looks like a beautiful place. The great thing about Europe is all the history. We don’t have that here in Canada. When Peachy is older, we’ll definitely do more traveling to show her these kinds of places. I have never been to Eltham Palace and I would so love to go (I even lived in South East London once and it just passed me by!) So it’s on the list for when I get back to the UK! Wow, it looks like a beautiful venue to visit and your daughter is absolutely adorable as always! She must have loved it there!